Whenever the river flooded, she almost drowned. Ten years. 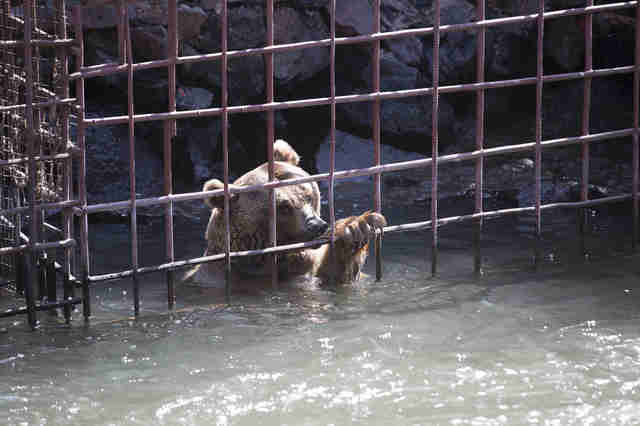 That’s how long Misha and Dasha lived inside a cramped metal cage that was half-submerged in river water in Yerevan, Armenia. 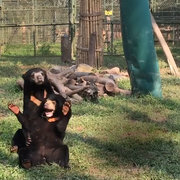 The two brown bears had nothing to do but pace back and forth, or climb the bars of their cage, searching for a way out, although they never found one. They were periodically fed, but they mainly relied on food scraps from tourists dining at the restaurant across the river. And when the river water rose, Misha and Dasha had nowhere to go. 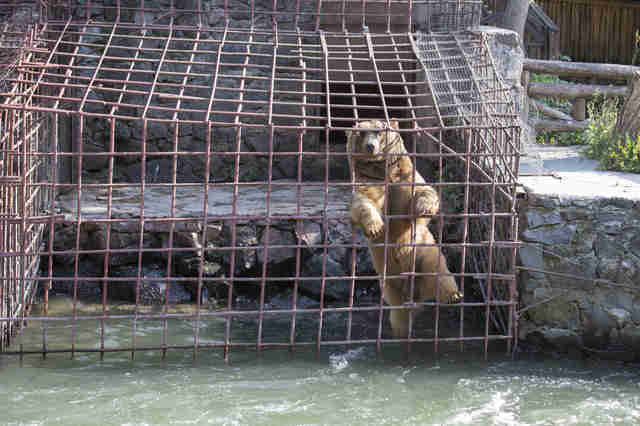 “A few years back, the river flooded and the bears almost drowned,” Key said. 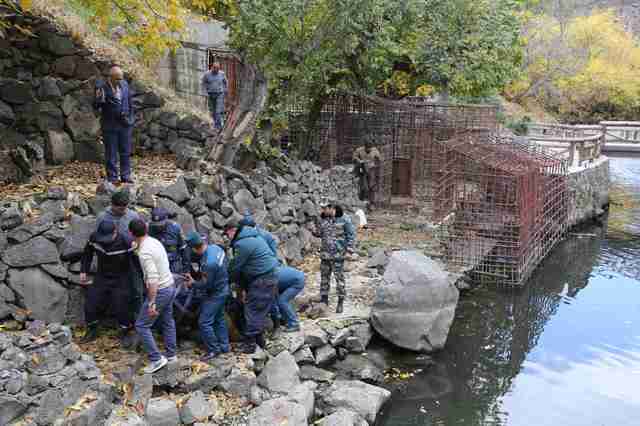 “As you can see from the rescue photos, the rescue team had to cut through the cages to release them, so they must have been trapped when the river flooded and in serious danger of drowning." 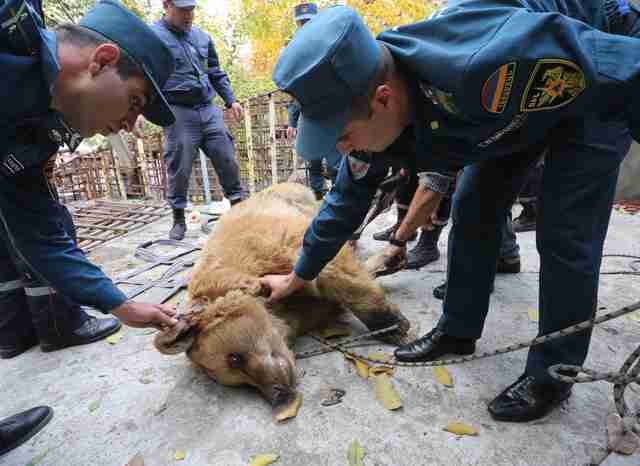 Sadly, Misha and Dasha aren’t the only bears to have suffered in Armenia. 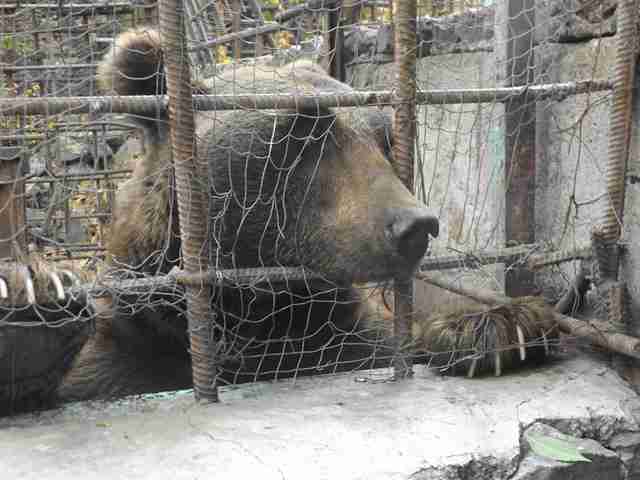 It’s estimated that about 80 bears are being kept inside similar cages as “tourist attractions” at restaurants, bus stations and factories across the country. 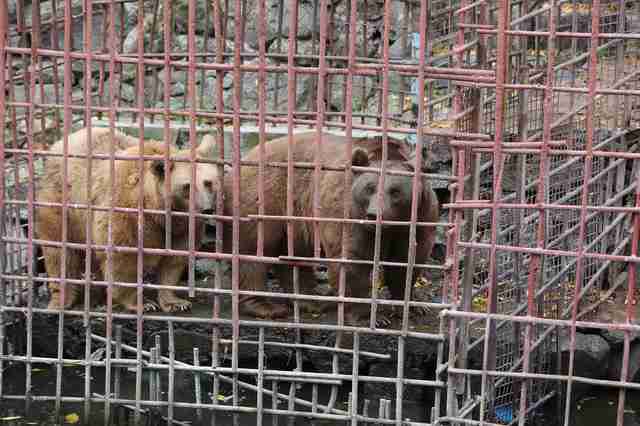 “I have seen for myself the conditions these bears are living in and they are nothing short of appalling,” Alan Knight, chief executive for IAR, said in a statement. “Some have been living for years in cramped, barren cages, surviving only on scraps and filthy, stagnant water. But now, there’s hope for the bears. 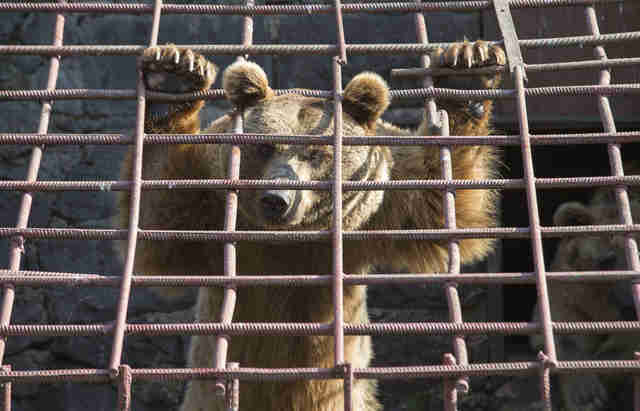 This week, team members from IAR, the Foundation for the Preservation of Wildlife and Cultural Assets (FPWC) and the Armenian government worked together to free Misha and Dasha from their metal cages after the restaurant owners finally agreed to surrender the animals. 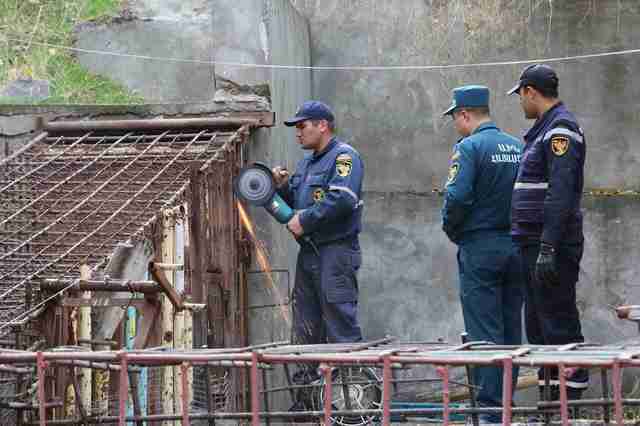 The rescue team had to use a power saw to cut through the cage bars, and the commotion terrified the two bears. “They were extremely stressed at the noise and disturbance after so many years of relentless boredom and neglect,” Key said. 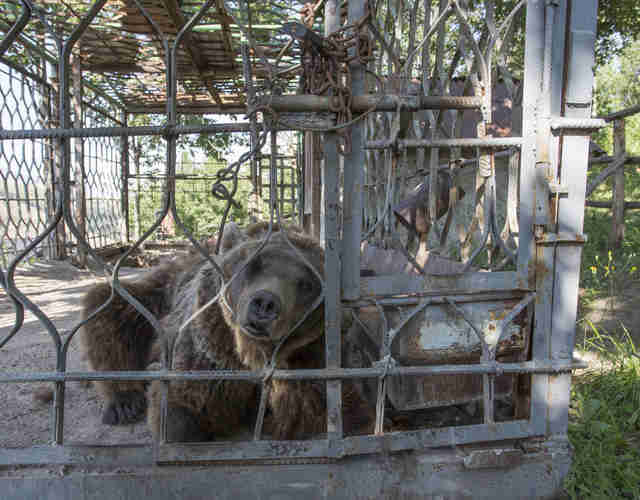 To ease their stress and keep them safe, the rescue team tranquilized Misha and Dasha before transporting them to a sanctuary in the mountains. This rescue mission won’t be the last. 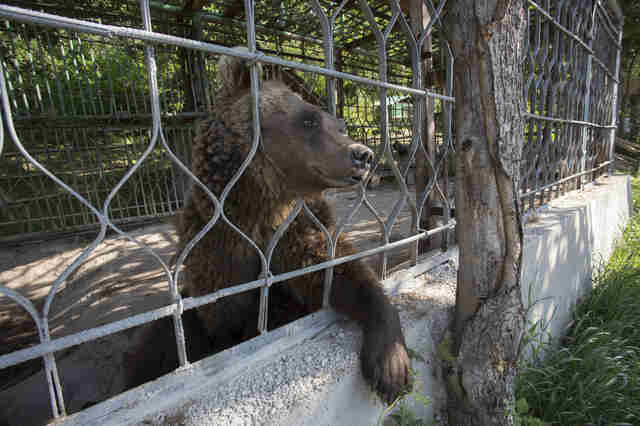 The team plans on freeing many more bears in Armenia — as many as they can find — as part of an ongoing project called the The Great Bear Rescue. 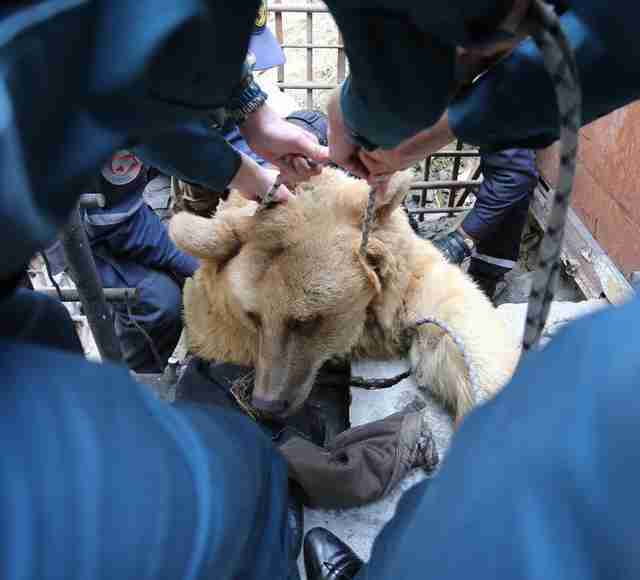 To support this operation, you can make a donation to IAR.